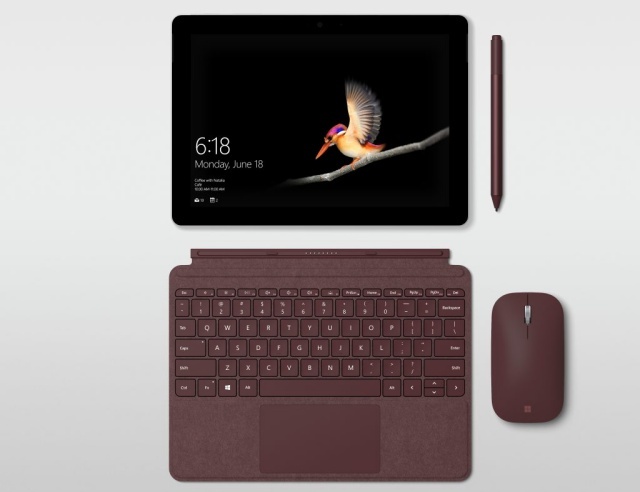 There’s a new Surface device from Microsoft that you won’t be able to buy if you live in South Africa – the Surface Go tablet. Like much of the Surface-branded hardware coming out of Microsoft, this new offering has not been slated for pre-order in South Africa, or any other African country for that matter. Nevertheless it’s worthwhile taking a look at the Surface Go, as it indicates that Microsoft still views the small, cost-effective tablet space as having some merit. 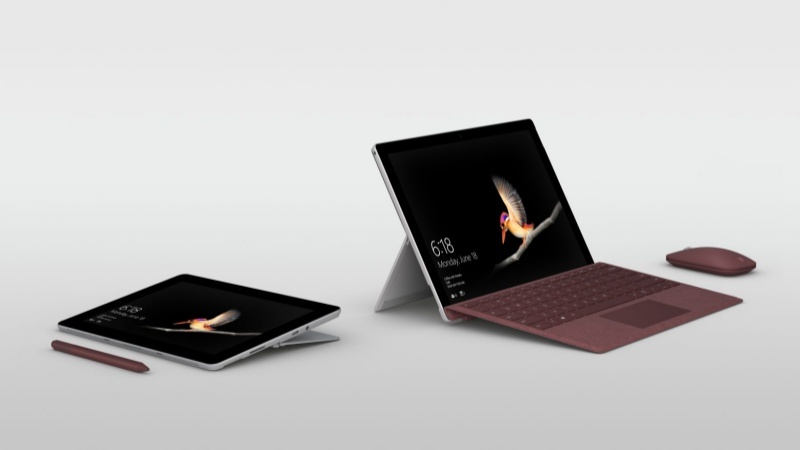 The Surface Go is the smaller brethren of the Surface Pro, and features a 10″ PixelSense Display with a 1 800 X 1 200 resolution and a 3:2 aspect ratio. Added to this is an 8.3 mm thin design, and a device that tips the scale at 521.6 grams sans detachable keyboard cover. It has a built-in kickstand to prop the Surface Go up at 165-degrees, a USB-C 3.1 port for periphery device connection and charging. Speaking of which the battery can muster up to nine hours of life, according to Microsoft. There’s also a 3.5 mm headphone jack, microSD card reader and support for Microsoft’s Surface Pen, along with the expected multi-touch interface. Moving to the internal elements, an Intel Pentium Gold 4415Y is the go-to processor for the Surface Go. There are, however, different model specifications with a 4 GB RAM and 8 GB RAM offering, each coming with 64 GB and 128 GB onboard storage respectively. The Microsoft Surface Go is currently up for pre-order Stateside, starting at $399 (~R5 342), with the company noting that an LTE-supporting variant is also on the way.